Mt. 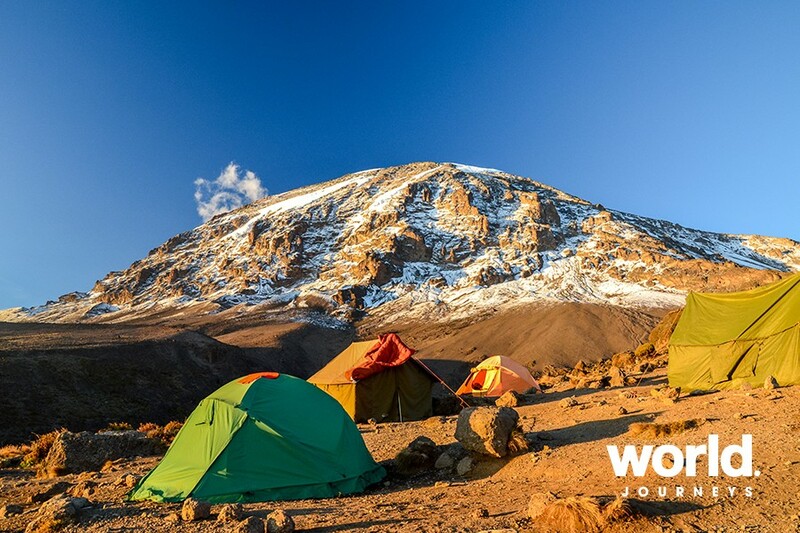 Kilimanjaro is situated south of the equator in Tanzania and, at 5,895m, is Africa's tallest mountain and the highest "free standing" mountain in the world. Huge permanent glaciers flow down from the summit, and spectacular views and beautiful ice formations are the reward for the successful trekker, as well as the satisfaction of conquering this mighty peak. As you hike through the lush green rainforest from the Machame Gate you realize that you have just embarked on an adventure of a lifetime! Giant tree ferns flourish underneath huge tropical trees decorated with Oldman's Beard (usnea lichen) and pretty flowers including a variety of lilies and hibiscus. 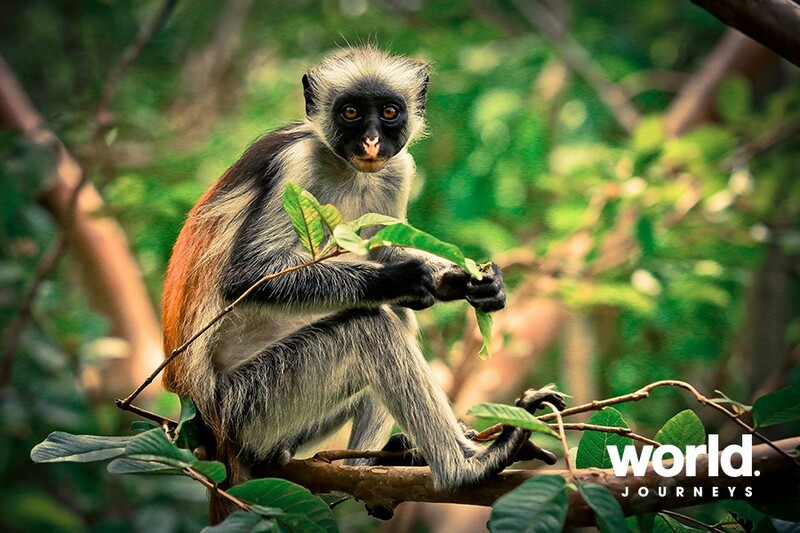 Colobus and Blue Monkeys may often be seen jumping between these ancient trees with an abundance of birdlife and these forests are never quiet. Day 01: Kilimanjaro > Moshi Upon arrival at Kilimanjaro Airport and collecting your luggage, you will be met by our local representative and transferred to your Moshi hotel. A climb briefing is scheduled for today in order to meet your guides and discuss the expedition with you in person. Day 02: Moshi > Kilimanjaro Trek - Machame Route After breakfast you will be transferred to the Machame Gate at Kilimanjaro National Park from where your hike starts. Walk through the beautiful rainforest with dense vegetation, often on a muddy trail, with short sections of steep climbs. The trekking pace is slow and very comfortable, ensuring you have enough time to enjoy the natural surroundings, take a photo and nibble on your packed lunch that we provide. 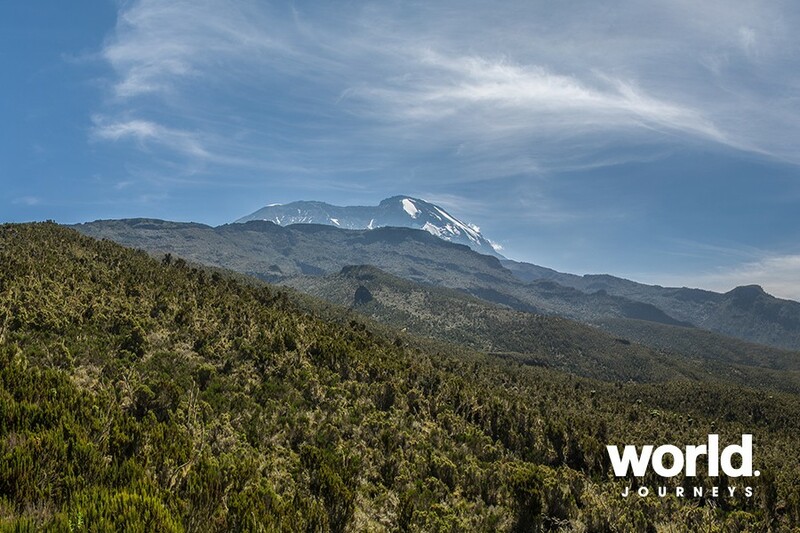 The first campsite, Machame, is on the edge of the dense rainforest, offering your first peek of the mountain in the distance. Day 03: Kilimanjaro Trek - Machame Route From Machame Camp, the trail continues over steeper terrain interspersed with easy walking. The vegetation changes to increasingly sparse trees and bushes into moorland. There are generally plenty of Proteas and Erica flowers en-route as you gain height along the path. 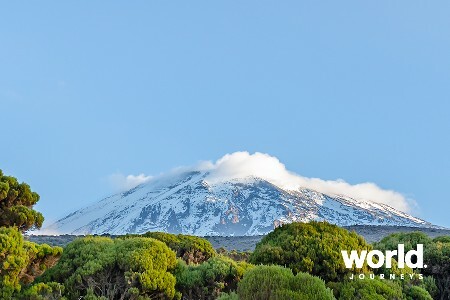 Views of Kibo and Uhuru peak with it's snow-capped summit becomes a regular sight as you near Shira Camp. 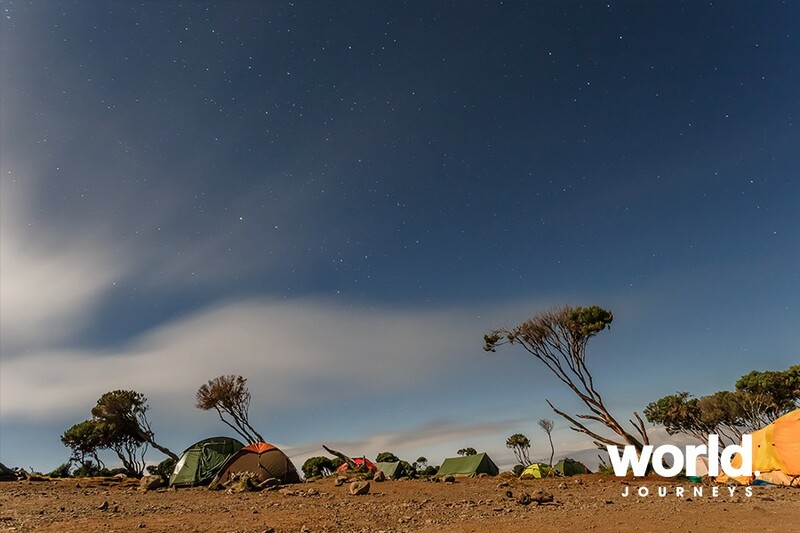 The camp itself is one of the most scenic as it allows views towards the west with Mt Meru in the distance and offer views of Kibo (the top of Mt Kilimanjaro). You often see the most spectacular sunsets from Shira with the clouds below you and the higher mountain peaks peeking through to catch the last bit of sunshine. Just a short hike from the camp is the Shira Caves. 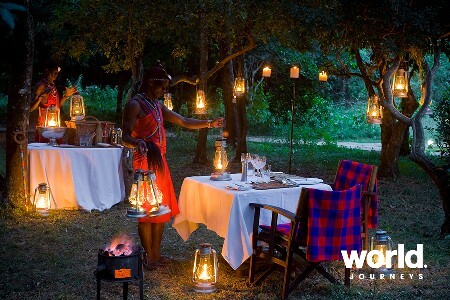 This makes a very nice acclimatisation walk before you enjoy a sumptuous dinner and good night's rest. Overnight at New Shira Camp at around 3,840m. 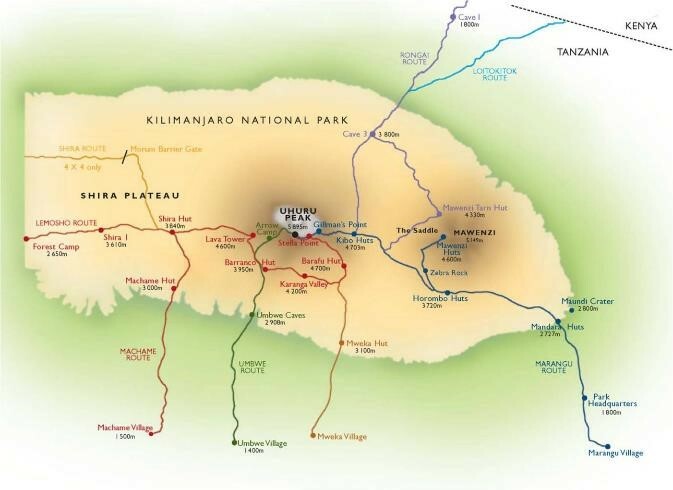 Day 04: Kilimanjaro Trek - Machame Route Today you hike up to 4,630 m while crossing a ridge and view the plains far below. Hiking through the alpine desert with boulders scattered around and dust hugging the rocks gives the illusion that you are walking on the moon. At Lava Tower, a big rocky outcrop, you have views of the ancient glacier ice of the Breach Wall on Kibo before descending to Barranco Camp. The path passes the "Garden of the Senecios", which features many of the huge senecio plants as well as lobelia plants. Sunset and sunrise at this camp is breath-taking. The sun paints the rocks in front of camp a dreamy red-yellow colour with the white ice of the high peaks shining bright. Looking towards the south you may see the little town of Moshi far below. 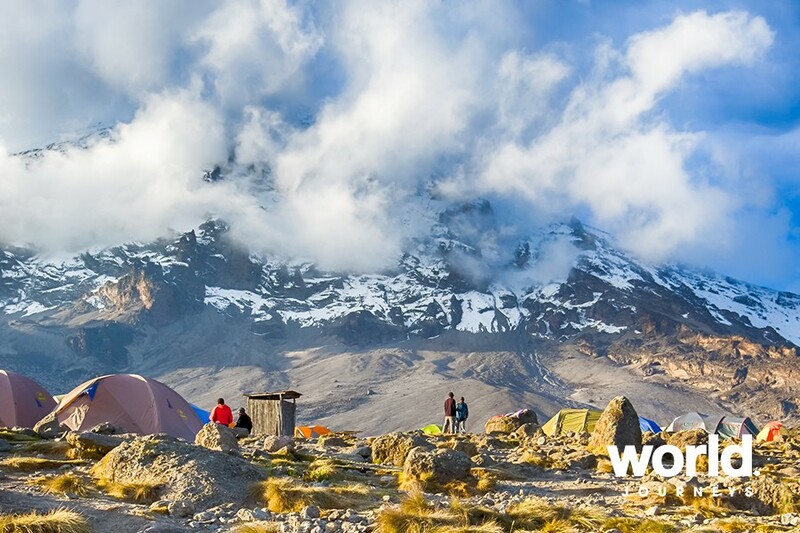 Overnight at Barranco Camp at 3,950m. Day 05: Kilimanjaro Trek - Machame Route After breakfast you cross the Great Barranco Wall, topping out at about 4,420 m before dropping to the camp at the Karanga River at about 4,040 m. The hike up the Barranco Wall is steep. 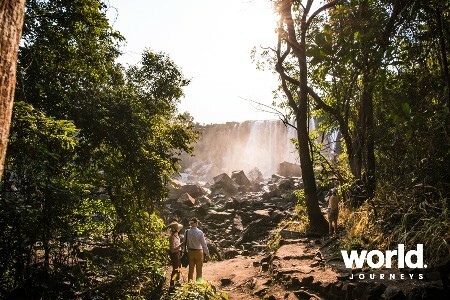 You pass below the famous Breach Wall, the largest ice and rock face in Africa. The Breach Wall climbing route, known as 'The Icicle', was first climbed in the early 1970's by Reinhold Messner. Daytime temperatures can reach up to 26C, while evening temperatures often drop below freezing. 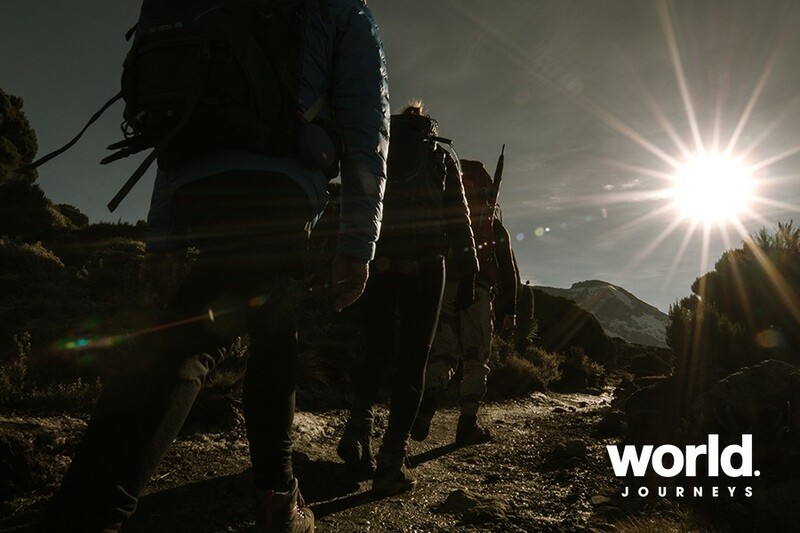 Day 06: Kilimanjaro Trek - Machame Route Today's path takes you up and across a rocky zone where very little vegetation can be found on the inhospitable terrain. A field of sedimentary rocks litter the ground. 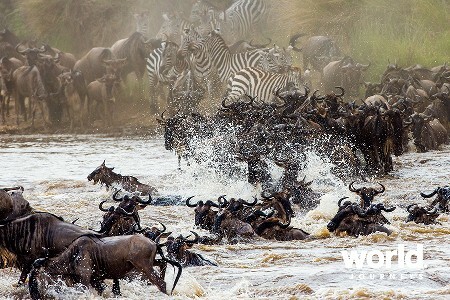 You leave Karanga and hit the junction which connects with the Mweka Trail. Continue up to the Barafu Camp. At this point, you have completed the South Circuit. From this point you have incredible views of the summit from many different angles. 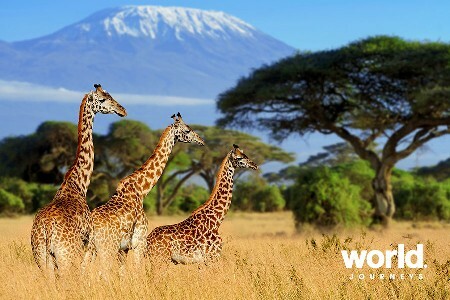 Amazing sights of Kilimanjaro's two peaks, Mawenzi and Kibo, are to be seen from Barafu Camp. An early dinner will be served in order for you to get the maximum rest before the final ascent starting at around midnight. Day 07: Kilimanjaro Trek - Machame Route Wake up very early to have a quick bite to eat and something warm to drink before setting out in darkness. The hike to Stella Point is a very slow steep walk on volcanic scree for about 5-6 hours. The headlamps on the trail towards the summit almost look like fireflies flying in a long row. As you approach the crater rim you will enjoy the most memorable sunrise you may ever experience - the sunrise over Africa! Often you see the curving of the earth at this high altitude and the sunrise on the horizon just accentuates it. Keep your camera ready at all times as there are plenty of photo opportunities along the summit. Once you reach Stella Point on top of the crater rim Uhuru Peak is in sight. Hike along fairly flat terrain for about 40-45 min to reach Uhuru Peak. Spend a few minutes at the top and get that photo of you next to the sign marking the summit - definitely one for your collection. Descend from Uhuru Peak in high spirits as you have just achieved your goal. The trail down from Stella Point on the Mweka route is often enjoyed by hikers sliding down the scree slope, which entails skidding down the loose gravel with big steps and some sideways moves. Try it, it is fun! With every step going down your body enjoys having more oxygen to breathe in. 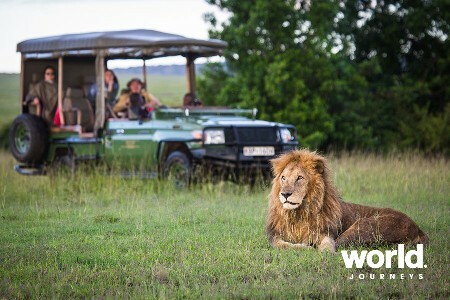 Depending on how you feel, you may enjoy a short rest at Barafu Camp before descending down to Millennium Camp or Mweka Camp. Most of our expeditions overnight at Mweka Camp this evening. 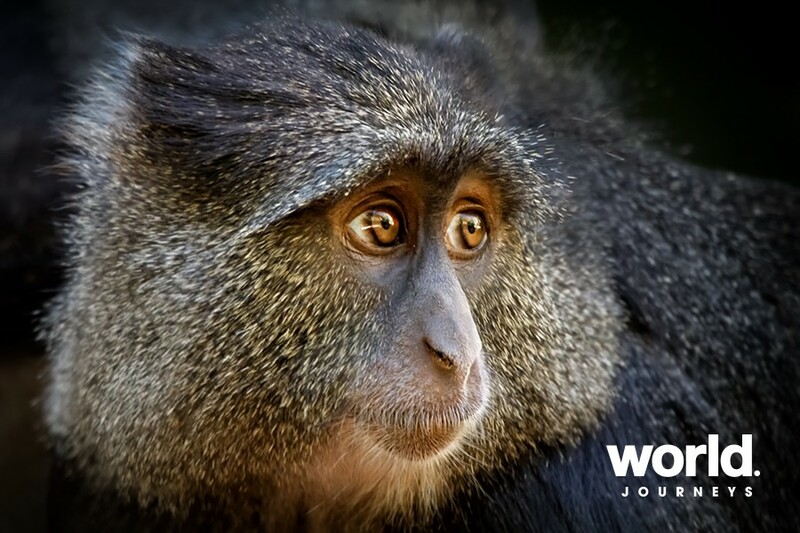 Day 08: Kilimanjaro Trek - Machame Route Enjoy a slow hike through the rainforest to Mweka Gate. It is not a rare sight to spot Black and White Colobus Monkeys in the trees as well as Blue Monkeys. Take time to enjoy the lush vegetation with the Old Man's Beard (tree moss) growing on the giant trees as well as some Giant Ferns towering high over the forest bed. 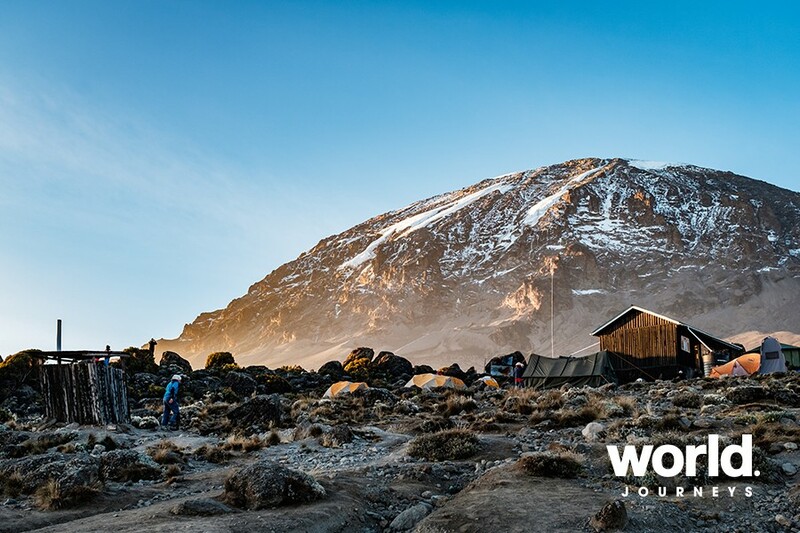 The path has many steps leading you down to Mweka Gate where you may find a cold beer or soft-drink to start celebrating your assault of Kilimanjaro. Afterwards you will be transferred back to your accommodation in Moshi for your overnight stay. Day 09: Moshi > Arusha This morning you will be met at the hotel and transferred by vehicle to Arusha Airport for departure.